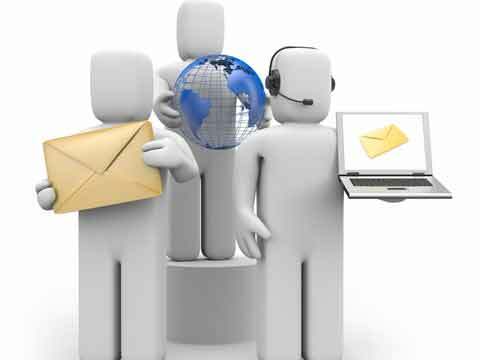 The Postal Department will also soon start an SMS facility to inform customers about delivery status of their parcels. India Post, which is already in tie-ups with e-commerce majors Amazon and Snapdeal, will also have security gadgets like CCTV and access control systems to ensure safety of articles. Telecom Minister Ravi Shankar Prasad in a meeting with officials in the Department of Posts has directed them to focus on opportunities in e-commerce and tune infrastructure to facilitate growth of the sector which has huge potential to bring investments and generate new jobs. "The Minister has asked India Post to leverage is reach to provide special facilities to local weavers, craftsmen/women, painters and artists so that they also benefit from e-commerce," a ministry official told PTI. The Minister wanted their products to be picked up from their doorsteps and delivered to end-customers, the official added. The official said that "postal department has started working on development of road transport network for parcel movement on majority routes with GPS facility. It is augmenting facility of secure area for parcels with access control and CCTV around it". As per industry estimates shared by India Posts, e-commerce business in India was about USD 6 billion in value in 2012 and is expected to reach USD 76 billion by 2021. The distribution, delivery or logistics constitutes approximately 12 per cent of the total e-commerce market accounting for about USD 9 billion by 2021. India Post, which has world's largest postal network of 1.55 lakh post offices, has seen multifold rise in business since the time it entered in partnership with e-commerce companies. Amazon started booking parcels at one place with India Post in 2013 which has now expanded to five locations by October 2014. "Amazon shipped 7000 parcels in January this year. By October, number of article booked in a month by Amazon increased to about 85,000. Snapdeals send 2000-3000 parcels per day. Naaptol is giving about Rs 25 crore business to India Post per annum," the official said. India Post is offering cash collection on delivery facility of product to 200 customers. "Since December 2013 approximately India Post has collected Rs 280 crore as cash on delivery amount and paid to the e-commerce companies," the official said.